Turkey ranks fourth among the destinations for inbound tourism in Bulgaria for the year 2017 g.
Bulgaria has enjoyed the stable interest of Turkish tourists over the last years, which serves as evidence of the trust they have in us. Our countries are located in one and the same region and we have great opportunities to develop joint initiatives and projects supporting the growth of tourism in Bulgaria and Turkey. This is what the Minister of Tourism Nikolina Angelkova said at the opening of the Bulgarian-Turkish business forum in the sphere of tourism in Istanbul. 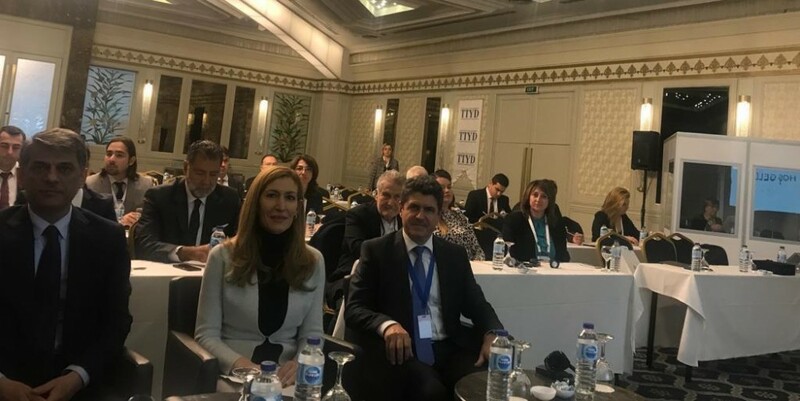 The Minister of Culture and Tourism of Turkey Nadir Alpaslan took part in this forum as well as representatives of the Bulgarian and Turkish business. Within the period January-October this year, the number of guests coming from our southern neighboring country was 540 thousand and in 2017, the Turkish market ranked fourth among the top destination for inbound visits to Bulgaria with over 636 thousand visits and a 12,5% growth, said the Bulgarian minister. The emphasized the significance of the Joint Bulgarian-Turkish working group in the sphere of tourism, which was established a few days ago in Sofia. Its first session was held in mid-November on the eve before the International congress of global civilizations and historic routes, organized by the World Tourism Organization, which was hosted by Bulgaria for the second time. The working group was the first platform for discussion of the possibilities for strengthening our cooperation in the sphere of tourism. I am convinced that we will continue to work as partners for the development of tourism, said Minister Angelkova. She also added that there are debates about the possibilities to organize days of Bulgaria in Turkey and vice versa. Work is also being done on a joint Balkan project and a joint product between Bulgaria and Turkey, which will popularize the rich and varied tourist product of the two countries before tourists coming from distant markets. We are also planning to organize tours for investors interested in investing in Bulgaria, said Minister Angelkova. They are expected to be implemented in February next year and will cover sights with a potential for development. I guarantee my personal engagement and the support of the Ministry of Tourism in order to ensure maximum institutional cooperation in the implementation of investments, said the minister. She thanked the Turkish Ministry of Culture and Tourism for organizing the forum and also for the opportunity to present the potential for investments and initiatives for joint development of tourism. The whole world has realized the meaning of the tourist sector and the importance for investments in this industry, said the deputy-minister Nadir Alpaslan. He added that he expects such international meetings to be beneficial for both countries. The forum included presentations of representatives of the Bulgarian and Turkish tourist business.